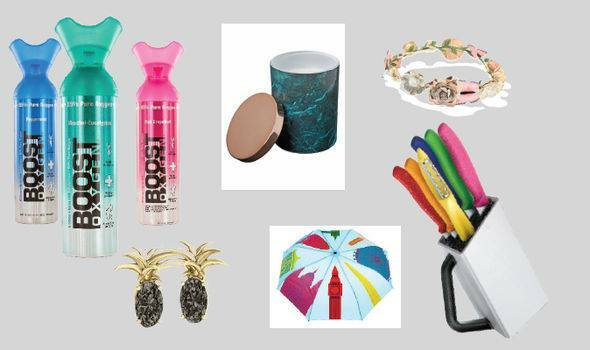 THE EXPRESS: Summer accessories from Liberty, Jewlr, Selfridges and more.. BREATH OF FRESH AIR Oxygen inhaler, £17.99 each, Boost Oxygen (0333 577 0041, boostoxygen.life) Getting oxygen is one of the best ways to increase your sports performance, recover afterwards and boost mental performance, and these inhalers are the easiest way to get a concentrated hit. Containing 95 per cent pure oxygen and available in natural or flavoured varieties, a couple of deep breaths will make you feel instantly more alert and energised.